Curandera Athena will travel to speak to your group on "Healing Our Families With Natural Medicine", "Kundalini Yoga", "Healing Plants of the Bible", "Shamanic Journeying"
Empower yourself to make your health equal your lifespan. Gathering wisdom as we grow older we can benefit ourselves and our communities. This workshop includes techniques from the holisitic systems of Ayurveda and Curanderismo. This four hour workshop will give you the knowledge to prevent or heal imbalances of the heart, prostate, arthritis, menopause, osteoporosis, Alzheimer's or kidneys. We'll also look at using oils as medicine, examine longevity formulas, and ways to prevent Alzheimer's. This four-hour workshop will give you the knowledge and tools to use your diet, herbs and lifestyle to heal yourself from imbalance. Participants will receive the tools to heal themselves, including ancient yogic exercises specific to that imbalanced organ, ayurvedic diet according to individual constitution, individualized plant medicine ascertained by kinesiology, healing prayers and energy work. Learn about the powerful medicinal uses of Myrhh, Frankincense, "Nard", black seed, bitter greens and many others. Many of these plants will be passed around to touch and smell. The presentation is also accompanied by pictures of the plants, and the corresponding Biblical quotes. This fascinating lecture can be used as a fund-raiser for your church. The group course is offered online for your group to communicate through Skype. In this way you will be able to ask questions and receive materials through the mail ahead of time. Please use the contact page if your group would like to discuss this. The fee is usually $100 for a group of ten or less and $200 for ten or more. 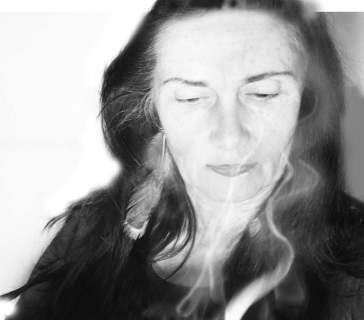 Have you been drawn to shamanism and like to find out more about it? During this six hour workshop, you will be given basic information about shamanism and some tools to begin your practice. You will receive instructions for recapitulation, learn breathing exercises to help you focus, find your Spirit Guides through a guided journey and practice a Peruvian fire ceremony. Following this introduction, participants may go on to the Medicine Wheel apprenticeship, where the "seeds you plant can be harvested as big ears of corn", (Alberto Villoldo). This guided journeywork is undertaken with protections and in sacred space. This practice is usually two to three hours. On a shamanic journey one may explore the spiritual universe, contact helping spirits, recover lost energy, or discover more about ourselves and our purpose. The deeper the trance state, the more powerful the experience will be. From the view of the Peruvian shaman, or laika, there are three worlds; the uchu pacha, or lower world; the kay pacha or ordinary reality; and the hanaq pacha or the upper world. Which world one accesses depends on the purpose. A shaman undertakes a journey consciously and deliberately as the shamanic journey may cause shifts in the kay pacha. Setting our intent we heal the Earth and ourselves. 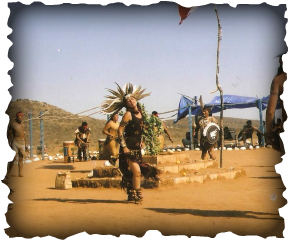 In tribal cultures the shaman (known by many other names) is the person who sees into the sacred world and shares these visions with the community. The shamanic journey is familiar to the people of Siberia, in Haiti, the Mangar tribe in Nepal, the Malay tribes of the Southern Philippines, to the Dudun on Borneo, and the Russian Voronezh, to the Christians through Jacob's Ladder, Seth's ladder in Egypt, the Sora of India among many others. This is ancient magic, ancient healing. 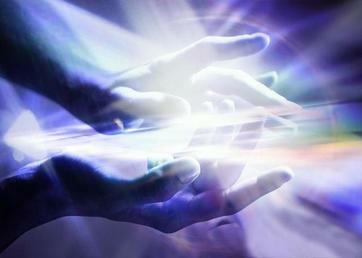 The visionary world is manifested into the world of humans. 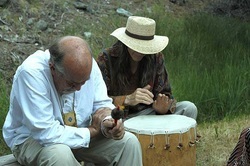 Bring your group together to enjoy the traditional shamanic journey. Athena will guide you through this with protection and experience. The journey takes between two and three hours. The first journey is to meet your power animal in the uchu pacha. The second, also in the uchu pacha (lower world) is to meet your spirit guides. The third, in the hanaq pacha, or upperworld, is to converse with your celestial parents. Prepare a place for each person in the group to lie down comfortably. Make sure the speakers on your computer will reach everyone in the room. Work with Athena over the internet, Skype and by phone to acquire the knowledge and experience of many of these courses. Techniques to develop your intuition; understanding how to harvest, tincture and otherwise use plant medicine; specific exercises for the pineal gland, the aura, and the pituitary; diet for your particular constitution--will be yours. If you find another person in your area who would like to study with you the fee is $30 a month for each of you, for three people, it is $25 a month for each, for five people--it would be $20 each. I only offer these discounts for a group who will work together and talk with me all at the same time. It is best to work with at least one other person for this course so that you can practice with, and on, each other. This four-hour course includes yoga exercises to bring circulation to the face, enhancing your breasts with plant medicine and exercise, how to heal skin from the inside, understanding the diet that is right for your constitution, Ayurvedic methods for healthy hair, the role our thyroid plays in appearance and energy level and more. We'll make our own skin cream, skin cleanser, hair conditioners, hair color and lipstick from organic ingredients so safe one can eat them! This workshop is for groups of 20 or more. Summer Solstice in Mexico with abuelo Kachora.